From a vast breakfast buffet to elegant à la carte dinners, Casa Mia offers Italian all-day dining on Cairo’s prestigious Gezirah Island. 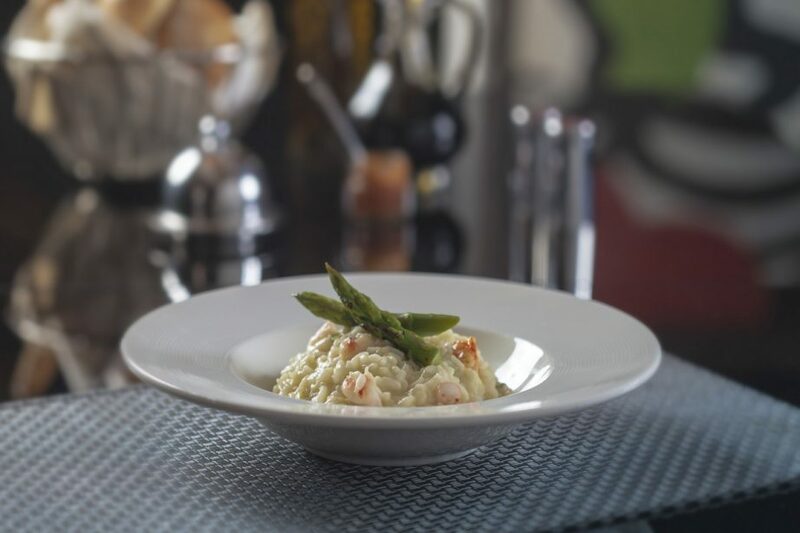 With crisp white tablecloths, soothing harp music and a fabulous outdoor terrace at the Nile’s widest point, the restaurant is sure to impress business associates – along with families and friends on a shopping trip. Non smoking restaurant, air conditioning and terrace overlooking the Nile. Raised in southern Italy, Chef Carlo learned how to cook at home. While working in F&B, Chef Carlo was intimidated by the kitchen and how it works. It was a tight ship, keeping consistency as a key. Chef Carlo was inspired by his brother who worked as a chef and whom he worked alongside until he realized that was the career he wanted to pursue. He was looking for a job that would allow him to explore the world and so he became a chef. Chef Carlo has lived in Ramallah, Shanghai, Philippines and other distant locations. Cairo is his most recent stop, which he finds very exciting as he keeps memories from everywhere he goes.